May also buy some home-decor items of terracotta. Select some decorative items of stone also. Here are the decorative items of resin for you to choose. View the home-decor items of resin also. 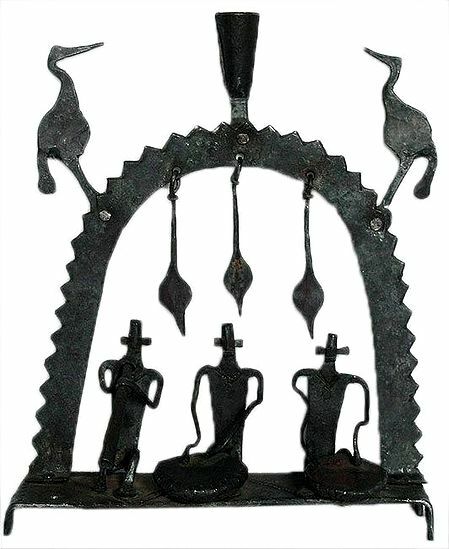 A tribal candle stand, made from iron forging. This piece is a tribal depiction of musicians playing drums, and a shehnai - a bugle like instrument.